Although I am a huge fan of low fantasy, the Green Knowe franchise had somehow passed me by. I was aware that the author, Lucy M Boston had won the carnegie medal in the early sixties and that one of the books had been made into a film. A few weeks ago I chanced upon a 1980 edition of THE RIVER AT GREEN KNOWE in a charity shop. A few pages into it I was completely hooked. It is the best of fantasy, written in a languid, poetic style that weaves a powerful spell on the reader. The plot is very loose. Two women rent the house at Green Knowe for the summer and invite three children to share it with them: a niece, a vaguely Eastern European boy and a Chinese refugee. Left to their own devices, the children explore the local river in a canoe, mapping the islands they encounter. During their explorations, the most magical of which happen by moonlight, the children encounter a modern-day Robinson Crusoe, a giant who is scared of laughter and a flock of winged horses. On a windy night, they eavesdrop on a Bronze Age initiation ceremony full of dancing, ululating men. people, the boats, the magical creatures. And the final message – that the greatest journey of all ends with an inevitable loss of faith and imagination is truly resonant. Ida said, "I'm sorry, Ping. One can't do anything for grownups. They're hopeless." Ping sighed. "I can't understand, when it's the thing they most want in the world, and it's there before their eyes, why they won't see it." "They are often like that," said Oskar wisely. "They don't like NOW. If it's really interesting, it has to be THEN." Hasty research on google tells me that a lot of readers where disappointed when this book was first published. It doesn’t feature the usual cast from the other books. For me, not being familiar with those other children, this was not a hurdle. I adored the fearless Ida, the philosophical Oskar and the irrascable Ping. 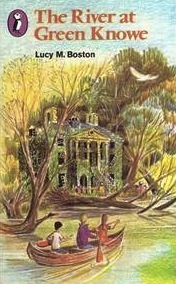 I only wish Lucy M. Boston had written more adventures about them. I would have gone along for the ride anytime. 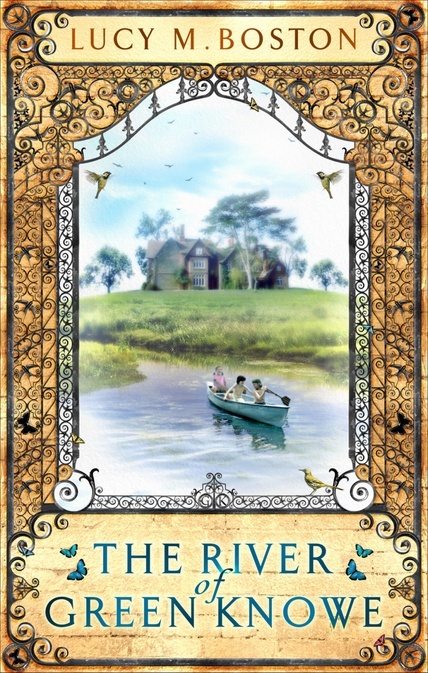 Those books have the best descriptions of river and riverbank to be found in any literature, I think. Have you been to Lucy Boston's house and felt the mysticism of the place for yourself, Saviour. Highly recommended, if you haven't. Hemingford Grey, between Huntingdon and Cambridge. Saviour, the original Green Knowe house still exists - somewhere in the Cambridgeshire/Huntingdon borders - and can still be visited, I believe. One day, one day! Lovely to be reminded about such stories. Time to go searching on behalf of someone who might just be the right age. Ping does show up in another Green Knowe book--An Enemy at Green Knowe. It's the only one I've read so far, and it's wonderfully eerie. I can't wait to read the rest! He's also in 'A Stranger at Green Knowe'. Wonderful books.